Brazil’s securities regulator, known as CVM, has no doubts the country’s former richest man Eike Batista used insider information and manipulated the selling of shares at his Oleo e Gas Participacoes (OGP) firm, formerly known as OGX. According to documents published Friday by local newspaper Valor Economico (in Portuguese, subs. required) Batista and other executives at the oil firm waited 10 months to disclose its shareholders that four oil fields were not commercially viable. Last year a Brazilian newspaper claimed OGX knew since 2012 that its oil reserves were much lower than initially estimated. But the company replied to this accusation saying it had always kept the market informed about its projects “as soon as the analyses were completed, to avoid divulging incomplete information." As late as 2012, Batista still touted estimates of more than 10 billion barrels of oil equivalent in pre-salt resources in Brazil's Atlantic Ocean offshore coastal São Paulo, but many of OGX's wells came up dry and failed to fulfill those estimates. Aurélio Valporto, who has lead actions against Batista on behalf of the company’s minority investors, told MINING.com earlier this year evidence against the country's most famous entrepreneur was solid. He added that regulators seemed to have ignored the “several irregularities” committed by the company’s leaders, such as the fact that Batista sold 56 million of his OGX shares a few days before the company announced it was suspending development of its only three producing oil wells. Under Brazil’s regulations, management must release any information that could influence a firm’s share price, as well as disclose their personal ownership stakes in the company, which Eike didn't do. He has also accused the oil company of publishing multiple regulatory statements about the same hydrocarbon discoveries in an effort to boost the company’s share price. OGX, once the flagship of Batista’s five public "X" companies – the X representing the tycoon's presumed ability to act as a business multiplier – finally sank in October last year, becoming Latin America's largest corporate default in history. 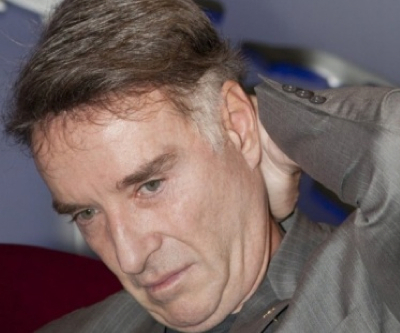 Eike, as he prefers to be called, founded OGX only five years ago with $1.3 billion. He can face penalties that go from fines to criminal charges.